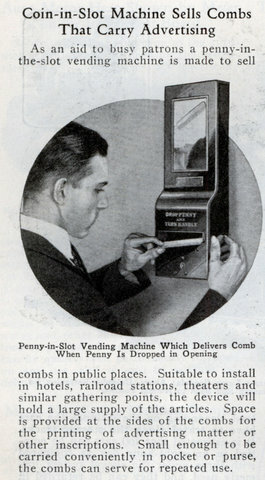 As an aid to busy patrons a penny-in-the-slot vending machine is made to sell combs in public places. Suitable to install in hotels, railroad stations, theaters and similar gathering points, the device will hold a large supply of the articles. 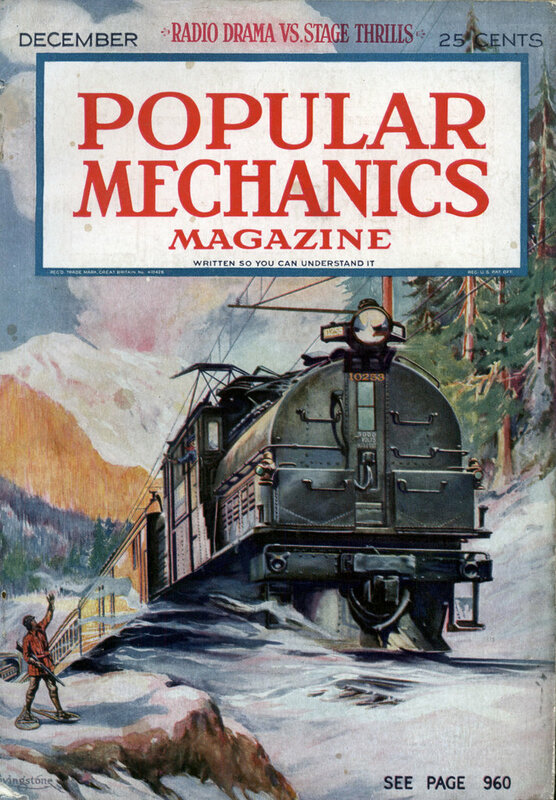 Space is provided at the sides of the combs for the printing of advertising matter or other inscriptions. Small enough to be carried conveniently in pocket or purse, the combs can serve for repeated use.